First a little background: My boyfriend is in film school and I often cook and bake for the crew when he’s filming. This time around he’s shooting a short film about people’s obsession with bacon. Neither of us were bacon-aholics but we might soon be after eating these cookies. I’ve heard of strange bacon recipes but never ventured out in trying any of them until yesterday. Tom needed a prop for his film and someone threw out bacon chocolate chip cookies so I was tasked with the project of creating the concoction. 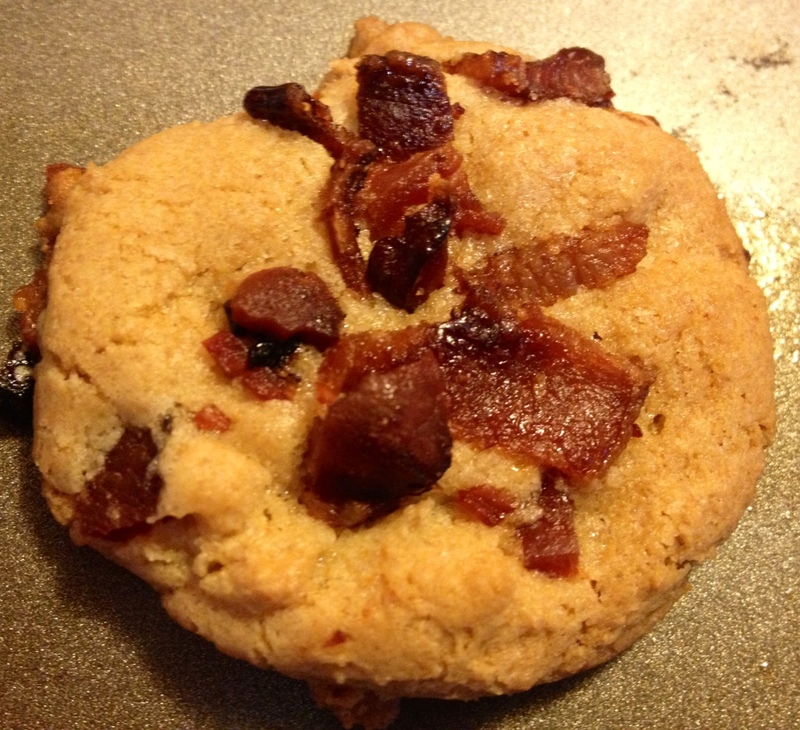 Not surprisingly, there aren’t many recipes out there but I reviewed the few I found and took bacon elements from some of them, but ultimately incorporating them to my favorite chocolate chip cookie recipe, which is soft and chewy in the middle but nice and crispy on the edges. One thing I tried on the first batch (fully prepared to pitch and start again) was swapping out some of the butter with bacon fat. I know, I know, sounds a little wrong and maybe a little gross but Bacon Chocolate Chip Cookies sort of screams all things wrong and fabulous so I gave it a whirl. 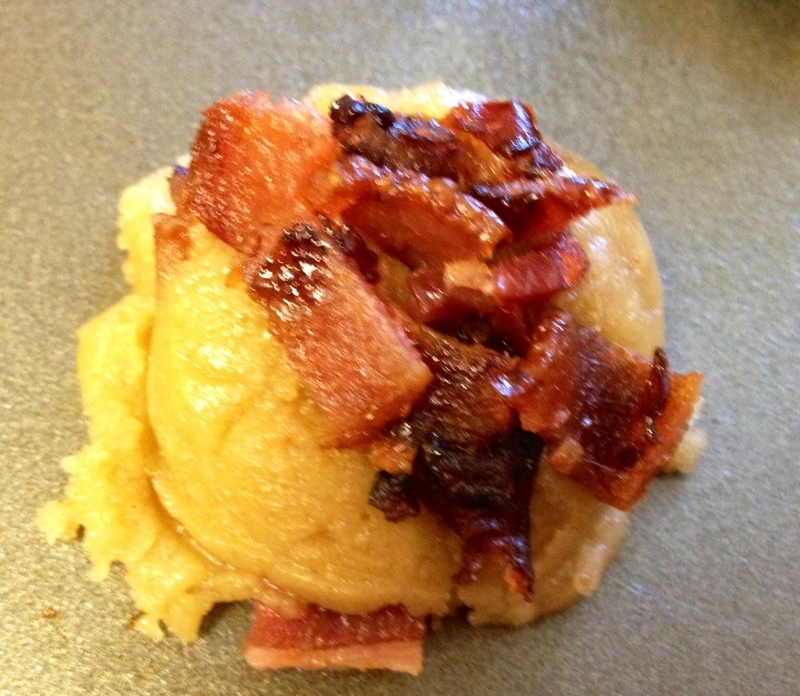 To my absolute shock, I tasted the batter prior to adding the chocolate chips and bacon and was absolutely gobsmacked. ERMAHGERD amazing! Best cookie dough ever! Needless to say, the end results, with chocolate chip cookies and bacon mixed in, were beyond phenomenal and have been hailed a culinary triumph by all. I’m actually quite sad that they have to be used for props but maybe that’s a good thing for my waistline! Preheat oven to 400°F. 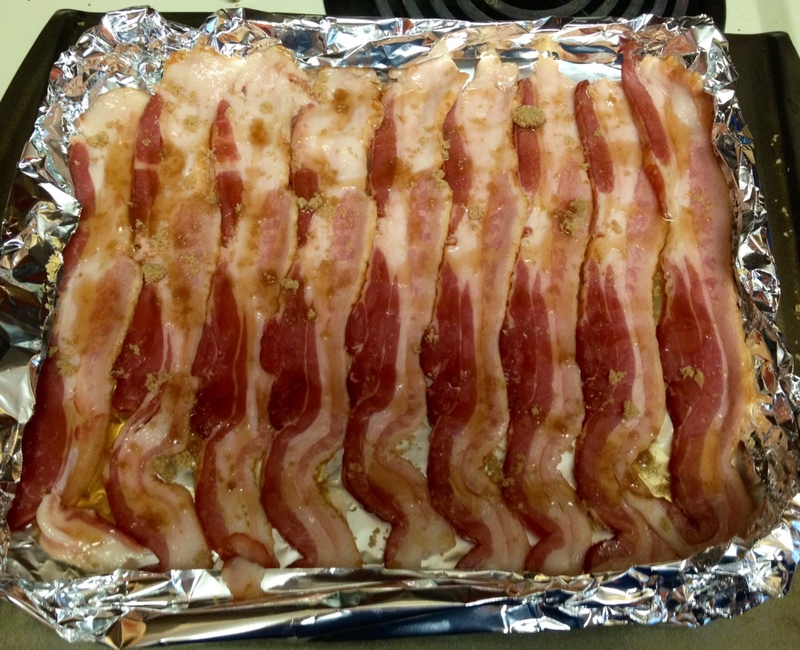 Line an edged baking sheet or casserole dish with aluminum foil and lay out the strips of bacon. 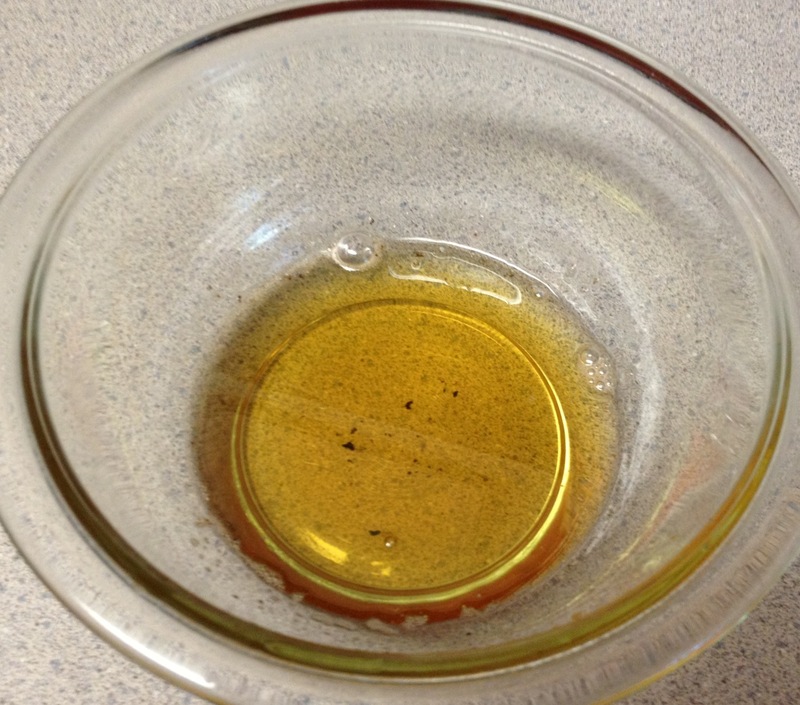 The aluminum foil helps to catch the drippings but makes cleanup a cinch. Sprinkle the brown sugar and drizzle the maple syrup all over the bacon. Bake for 15-20 minutes or until bacon is nice and crisp. If you use a thinner cut bacon, be sure to keep an eye on it as it won’t need the full 20 minutes. Remove bacon to a plate lined with paper-towels and let cool. Reserve 1/2 cup of the bacon fat from the pan for the cookie batter. 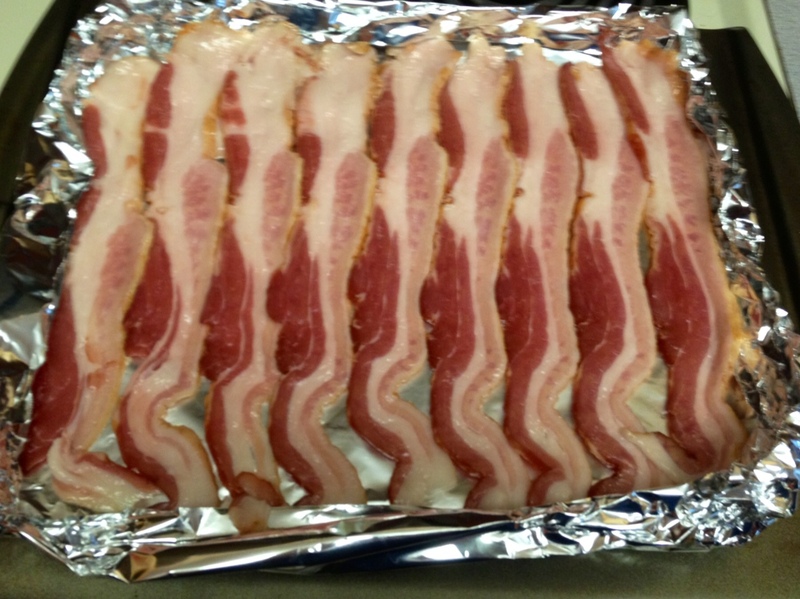 *Note: I have found the easiest and best way to cook bacon is in the oven. If you prefer your own method that is totally fine! 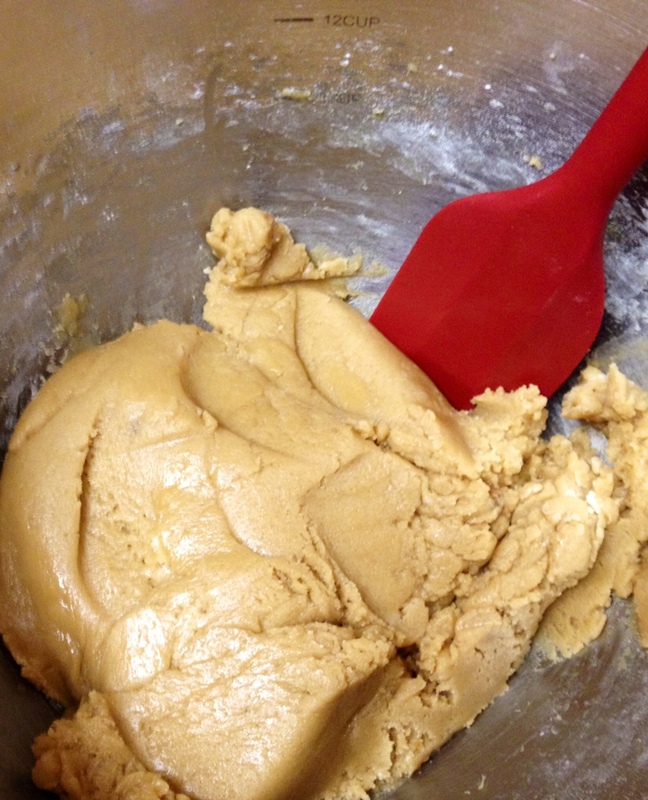 Note: Do NOT sift the dry ingredients, as that will result in a more cake-like cookie. Preheat oven to 325°F. Spray your cookie sheets with baking spray and set aside. 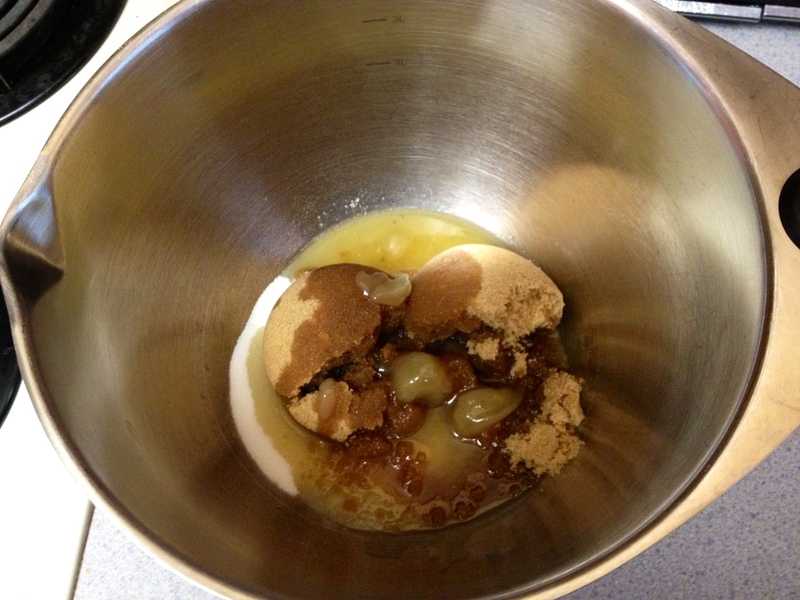 In a large bowl, cream sugar together with the melted butter and bacon fat. Add the egg, egg yolk, and vanilla extract and beat until creamy. Gradually add the flour, baking soda, and salt, making sure to beat vigorously to incorporate well. 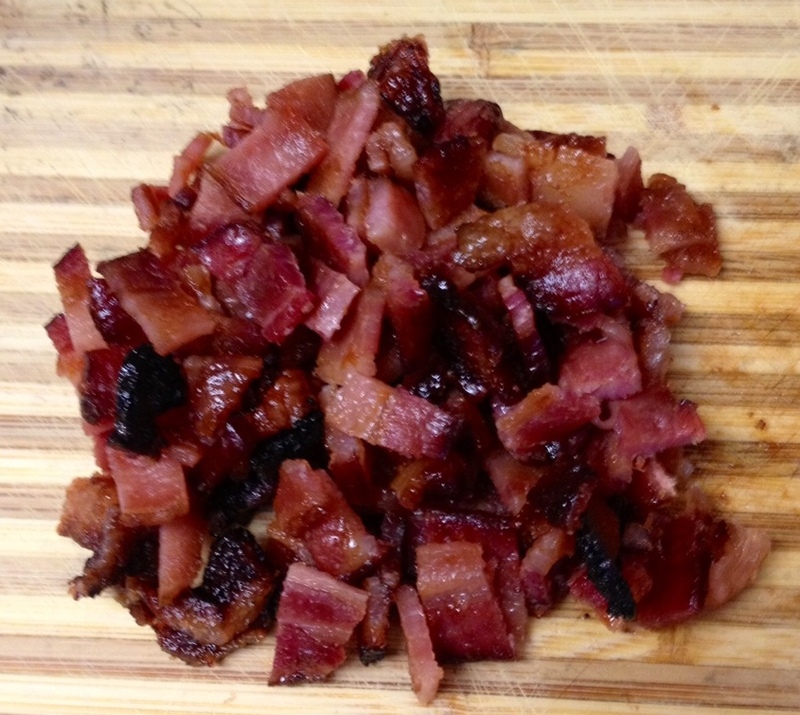 Take the cooked bacon you set aside and on a cutting board, roughly chop into bite-sized bits. You should have about 1 cup. 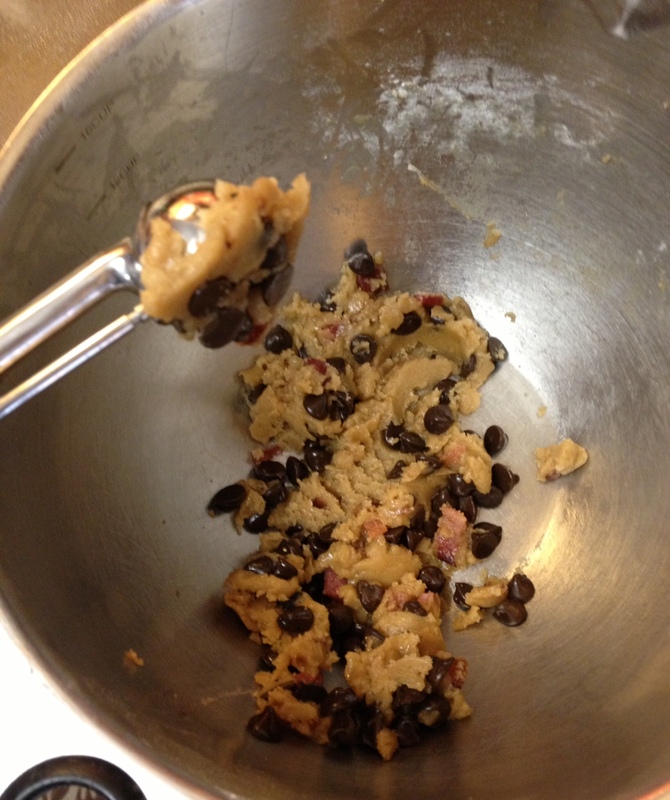 Mix bacon and 1 cup chocolate chips into the batter until well blended. 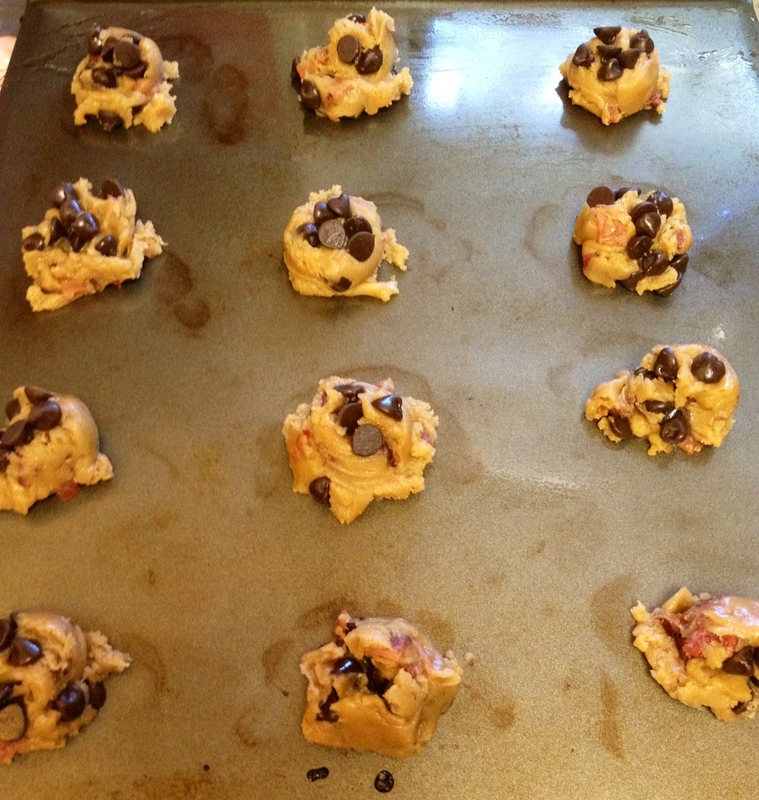 Using a small or medium cookie scoop, drop the cookies on the prepared cookie sheets, about 2-3 inches apart. Bake for 15 minutes or until lightly golden and brown. Cool on sheet for a few minutes before transferring to a cooling rack. *Baking Tip: One of my best cookie baking tips actually came from my boyfriend. Always, always, always, bake one cookie, all by its lonesome self, on a cookie sheet at the prescribed time to see if that’s the right time for your oven, altitude, etc since no two ovens are exactly alike. I was notorious for burning an entire sheet of cookies before learning this trick. Better to burn one cookie than to scorch a dozen! 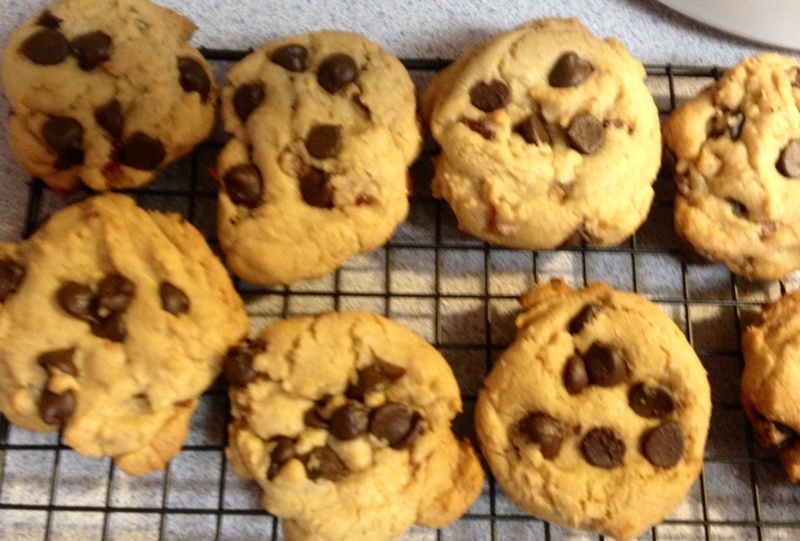 When the cookies have cooled for a few minutes, it’s time to eat! I hope you enjoy! 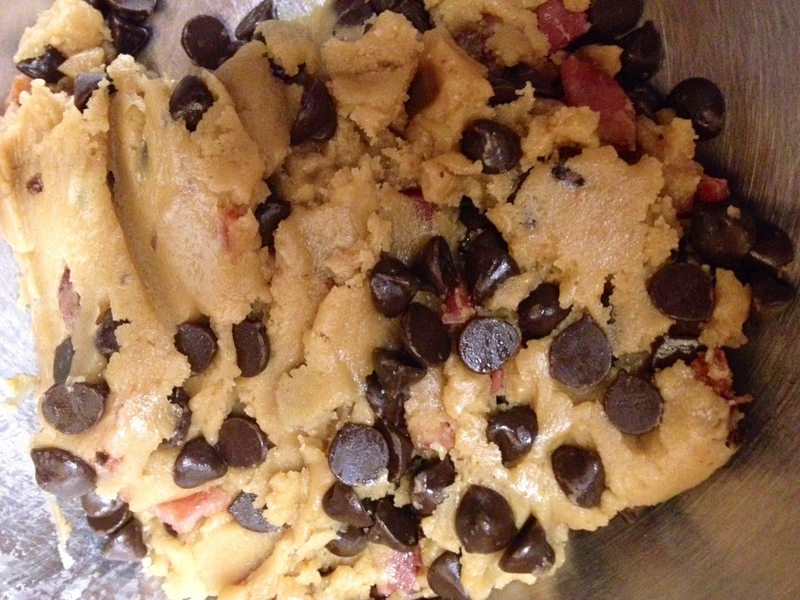 Just for fun, I took a little leftover bacon and made a bacon overload chocolate chip cookie. I took the above batter and pressed some extra bacon on top before baking.